In today's mobile network, more than 80% of wireless services occur indoors inside buildings, and this figure is set to increase to more than 90% once 5G mobile technology is commercially launched in the next few years. Therefore, indoor mobile networks in the 5G era are vital and will become one of the core competitiveness of operators. With the advent of the 5G era, there will be various service applications, such as VR, IoT and telemedicine, which will emerge. To meet the requirements of optimal user experience, efficient O&M and intelligent operation, a digital indoor network must be constructed in the 5G era. Innovative digital indoor solutions are slowly becoming the mainstream, mainly because traditional indoor distribution systems cannot easily evolve to newer technologies such as 5G, and they cannot comply with the demands, trends and best user experiences. The assurance of flexible scalable deployments through digitalization of indoor coverage is the best way towards 5G and the key to successful business feasibilities with faster investment returns. Digitalization of indoor coverage can support more services, give faster speed rate experience, better evolution, lower end to end cost and easier network capacity expansion. A "multiple, fast, good, cost-saving, and easy" indoor coverage digital network helps operators cope effectively with the growing service and speed rate experience demand in the 5G era. Indoor coverage digital solution can provide cloud VR, smart healthcare and high-precision indoor positioning services opening new revenue streams for telcos. It supports functions such as indoor navigation, customer traffic monitoring, personnel and asset management, and remote maintenance to expand service boundaries. This supports more flexible multi-carrier aggregation, distributed MIMO and other innovative technologies to achieve optimal indoor xGbps user experience. The indoor coverage digital solution can evolve to 5G without changing the network architecture and planning (no increase in the number of head-end points). E2E visualized O&M reduces OPEX, implements intelligent optimization and automatically adjusts capacity. Precise energy efficiency management also implements intelligent power saving. Thus, improving O&M efficiency and reducing long-term OPEX. The indoor coverage digital solution has the capability of quickly splitting cells. Through software expansion, the project is simple and the construction time is short, which can effectively protect the investment. With the rapid growth of capacity, the cost advantage of the indoor coverage digital solution will be more prominent. In the 5G era, indoor networks will become the high value core of mobile networks. We at Huawei believe that the industry is evolving from the distributed antenna system, commonly known as (DAS), to the era of digital indoor solution (DIS). Digitalization of indoor coverage will become the inevitable direction for industry development. Huawei has been engaged in indoor network consulting, scenario-based solutions, digital products and integration, and industry ecosystem all the while have established a wide range of capabilities, accumulated rich experience and leading the indoor digital industry process. 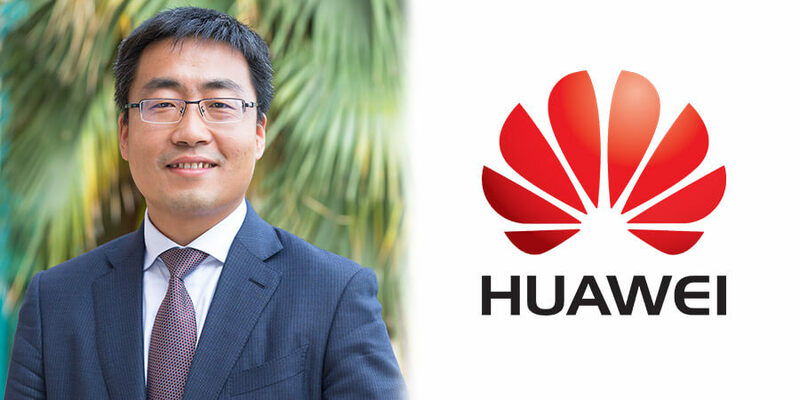 In the next five years, Huawei will continue to invest in digital business solutions for indoor coverage, deepen cooperation with carriers and industry partners, explore new business models, continually build the next era of (DIS) ecosystem, and jointly with our customers create an optimized digital age of 5G indoor coverage which is both efficient and rewarding.